Do you love helping others achieve their goals? Would you like to work in the health and fitness industry? 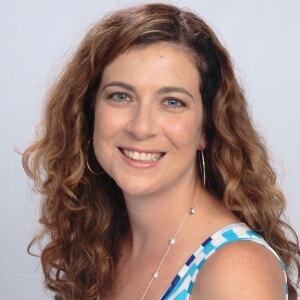 Today we're talking to Gina Whitehouse, a Beachbody health and fitness coach and she's going to tell you a little bit about her journey and how you too can become a home-based health and fitness coach. Tell us how you got involved with Beachbody. I had my first child in 2011, and a year later, I knew I needed to do something to keep off the baby weight I had lost while nursing my daughter. In the past, I had gym memberships, but I was never motivated to go. Now that I had a child, there was no way I was going to bring her with me to the gym. It just took too much time to get me and her ready, workout, and then come home. I knew working out at home was an option, but I was hesitant to purchase a home workout DVD because I didn’t know if I would actually do it. It was a month later that I saw a friend of mine that had become a Beachbody Health and Fitness Coach and was offering an online accountability group. I joined the group and finally saw success with my weight loss! The accountability and encouragement was amazing. From that moment, I knew that I could offer that same type of assistance to someone else. In August of 2012, I signed up to be a coach. My background is in residential home design. I studied architecture in college and worked for years as a designer. But, I knew I wanted to stay at home with my children. However, I found that the transition from working to staying at home difficult. I love my kids, but I felt the need to do something creative and productive. 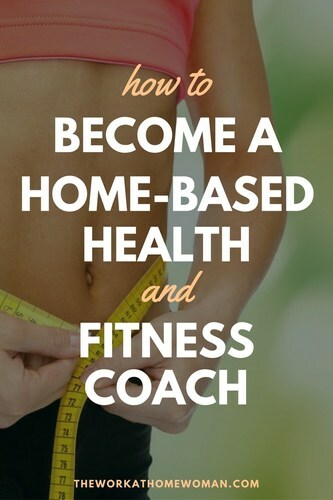 Health and Fitness Coaching became the creative outlet I needed and a way for me to earn money from home. I love being my own boss, having flexible hours, and creating the life that I want. And as an added perk, I make more money now as a Health and Fitness Coach than I ever did as a home designer. What makes Beachbody different from other direct sales companies? What makes Beachbody different from other direct sales businesses is that you’re not just selling a product to someone. Instead, you’re promising to walk with them through their journey towards their goals. As a Coach, it’s your job to keep your clients accountable and motivated. You get to meet fantastic people that bless you as much as you bless them. You get to help transform lives! Your business can all be done online! Every month I run accountability groups, called Challenge Groups, where I connect with my clients through a Facebook Group. Each day they check in with me telling me what they ate for the day, and if they got their workout in. We also do fun things like weekly challenges, as well as share healthy recipes and tips in the group. Also, it’s not about selling, but rather, SHARING your own personal experience and journey with others. If you feel like a creepy salesperson, then you’re doing something wrong! You should be on your own personal health and fitness journey. To start as a coach — you don’t need to have a transformation, but you do need to be using the Beachbody home workouts (P90X, Insanity, PiYo, 21 Day Fix, and Turbo Jam). You should also have a passion for helping people and for health and fitness. You don’t have to be at your ideal weight to be a coach. If you still need to lose weight, that’s completely okay! Instead, you must be willing to share your journey, both what works and what doesn't. People want to see what you’re doing and to be inspired. If you can do those things, you’ll be a great coach! One great thing about Beachbody, is you don’t have to do in-home parties! Like I said, all of my business is done online via my website and social media platforms. In fact, this is how I meet new people. As a Health and Fitness Coach you can brand yourself however you like. You choose who you want to work with, and what you stand for. It’s YOUR business. As a part of my team, Team Lead & Inspire, I will work with you one-on-one to train and mentor you and help you find your perfect target niche audience. Lastly, I am very passionate about helping others become happier and healthier individuals. But, I’m even more passionate about helping other coaches who join my team gain financial freedom and opportunity through health and fitness coaching. I have one coach on my team right now, who is almost ready to quit her full-time job as an elementary school teacher to be a Health and Fitness Coach full-time and be at home with her kids. Nothing is more rewarding to me than being able to help someone achieve that! Beachbody Coaching makes this completely possible! On average each week I work 10-15 hours. At the very minimum, I have at least one “power hour” each day which is an hour of intensely focused time that I put towards my business. During this period I answer emails, check-in with my online accountability groups, read or listen to personal development videos and articles, and help and train new coaches who join my team, Team Lead & Inspire. My biggest struggle when I first started was to keep pushing through and not giving up when you hear a lot of NOs. The fact is that most people aren’t ready to commit to improving their health. However, a NO is actually a NOT NOW. People I have invited to be part of my groups that said “no” have contacted me months or years later to work with me and have seen success. It really takes a lot of perseverance, drive, and self-motivation to succeed. But, if you continue to push through, you will ultimately see success. Now that I’ve been doing this for almost two and a half years, my biggest struggle is keeping up with the growth of my business. It has forced me to get better at delegating tasks to my assistant. You MUST have a big WHY to succeed. Why do you want to have your own coaching business? Most people will say that it is to help others and to pay it forward. This is a great reason, but, you must also think about your own personal and financial goals. Partnering with Beachbody gives you an unlimited opportunity for financial gain and growth. It’s allowed me to put my child in private schools, pay for our mortgage, and even hire assistants to help me take my business to the next level. But, you must have a big WHY (or reason) to keep persevering when you have a slow day, week, or month. My WHY is so that my husband and I can work full-time in ministry without having to depend on others for our income. We know that my husband’s real calling in life is to be a Pastor. We're currently involved in the church as youth leaders. My husband is also a worship leader, and I lead Bible studies. But, I want us to be at the point financially where we can be in full-time ministry and not have to depend on our income from the church. We want to be able to have a side business that provides for all of our needs, gives us residual income, and enables us to bless others financially by giving and through service. As a mom, how do you manage all of your personal and business activities? It can be very tough, but it’s possible. As I mentioned before, I always try to have at least one “power hour” during the day. I just had my second child, so this has been a little difficult lately. However, I know it’s just a season. I also make sure to put into place work hours so that I have a balance between work and family. I always tell every person who joins my team that this business should not get in the way of their families. Great time management can be learned. We don’t all start out as very good time managers, but if this is important to us, then we will learn how to be better managers of our time and put into place boundaries to protect our children and our marriages. My WHY! Also, all of the success stories that have been created through the relationships between my clients and me keep me going. Just one transformation story is enough to keep me going. Knowing that I made a difference in just one person’s life gives me the motivation to keep going when I don’t feel like it. Thanks to Gina for sharing her story! Liked the interview! I am a highest honors graduate in fitness and nutrition and think it would be so awesome to become a health and fitness coach…I just do not know if I could afford it…any advice Holly? Hi Leiann, I’m not sure what the costs are to get started. You can contact Gina if you’d like to know more. Good luck! Great interview Holly. It was nice to meet you Gina. Thank you for sharing your challenges and tips for trying to keep it all in balance. Glad you enjoyed Gina’s story!